The two tragic crashes of Boeing’s best-selling 737 Max planes increasingly look to be caused in part by a malfunctioning automated system—and the pilots’ lack of training around how to deal with it—that was designed to keep the aircraft from stalling out. The final reports aren’t in yet, but the similarities between the crashes in Indonesia and Ethiopia that together killed 346 people, and the log of complaints from other pilots about the system, all point to trouble with the Maneuvering Characteristics Augmentation System, or MCAS. In short, a combination of an unfamiliar, potentially faulty automation system and a crew that was not adequately informed in how to operate or override that system probably led to both crashes, according to preliminary findings. One thing that’s striking about this is that it’s precisely the hazardous scenario that a top aviation safety forecasting group has warned of for over a decade. b) that stress and fatigue will increase rapidly when the flight crew does not understand what flight deck automation is asking the aircraft to do. 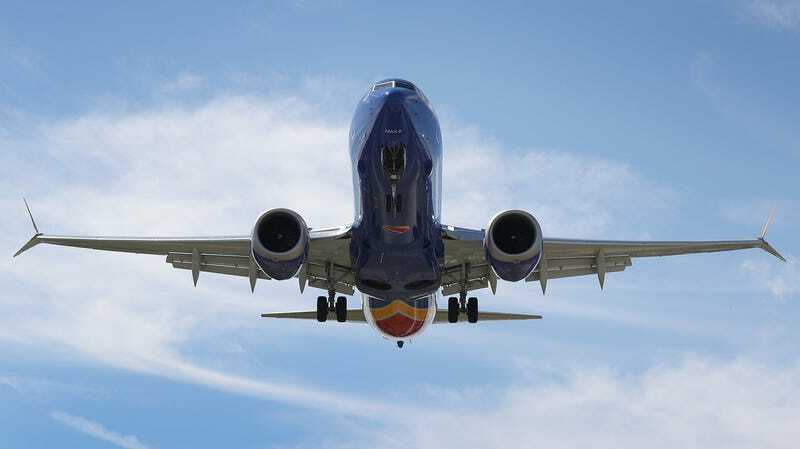 Essentially, because the new 737 Max 8 planes have engines that sit further forward on the wing than previous models, they’re prone to stalling easily if pilots tilted the nose too high—so the MCAS automatically kicks in to lower the nose. In the Indonesia crash, battling an MCAS that was responding to erroneous sensor data, the pilot fought to keep the nose up, manually pushing it up 21 times only to have the computer system push it back down after every correction—MCAS, it seems, ultimately downed the plane into the Java Sea. So far, the flight data from the Ethiopia crash indicates a similar pattern. Now, it is possible to override the MCAS autopilot system, but Boeing apparently did not disclose how the new automation worked to pilots, in what seems to be an effort to maintain the same “type rating” of plane—even as it withheld information about the hazards it posed—which helped the company avoid numerous hours of costly pilot training. So in both Indonesia and Ethiopia—and on flights that pilots logged complaints about that problem but did not crash—pilots were subjected to automation surprise. The unfamiliar system kicked in, erroneously, in the case of the Lion Air flight in Indonesia, and they did not have the tools or knowledge to override it in time. For 20 years, FAST has worked on identifying dozens of Areas of Change (AoCs) in the aviation field, which range from “New cockpit and cabin surveillance and recording systems” to “Global organizational models” to “New hypersonic aircraft” to our “Reliance on automation supporting a complex air transportation system,” and researching them deeply to understand how they stand to impact passenger and pilot safety. Each of the hazards I bolded above—i.e., all but the first—all seem to have befallen the two Boeing MAX flights that ended in devastating crashes. They looked back on at least five flights where crashes were attributable to automation surprise, like Air France Flight 447, where confusion over both an automated control stick and a computer system that intervened with misinformation at a crucial moment contributed to a dramatic crash that killed all 228 passengers onboard the Airbus A330-200 plane. (Interestingly, at the time of that crash, Boeing was publicly resistant to employing too much automation. While Airbus used control sticks that pilots could quickly program and release—leaving them in what can appear to copilots to be a neutral position, which is one of the sources of confusion in the 447 crash—Boeing still used easily identifiable “old-fashioned” levers that resembled their mechanical forebears, and declined to embrace “auto-throttling” in its cockpits as Airbus did. “In each of the accidents listed in Table II automation surprises led the crews away from appropriate action,” the FAST report explains. “It is yet unclear whether revised training - e.g., upset recovery training, new procedures or design changes can prevent the occurrence of such cases in the future, because we do not fully understand human decision making in unusual situations,” before calling for further research into behavior around automated systems. As FAST points out, automated systems have improved safety in a great number of ways, and have likely prevented a good many accidents—but that’s no excuse for ignoring the hazards that arise by bringing new automated systems onboard. Especially hazards that were explicitly pointed out by aviation safety groups with a large public footprint over a decade ago. Yet this keeps happening—Boeing’s Max planes are merely the latest and perhaps particularly egregious example. Ultimately, 346 people have lost their lives apparently due, in part, to automation surprise. But if Boeing had done its homework, and hadn’t cut corners to keep costs down, there’s a good chance there would have been no such shock. And maybe, no fatalities. I’ve reached out to the FAA for comment on whether they’re aware of the FAST report and its recommendations and will update if I hear back. Thanks to Hugh MacMillan for the tip.